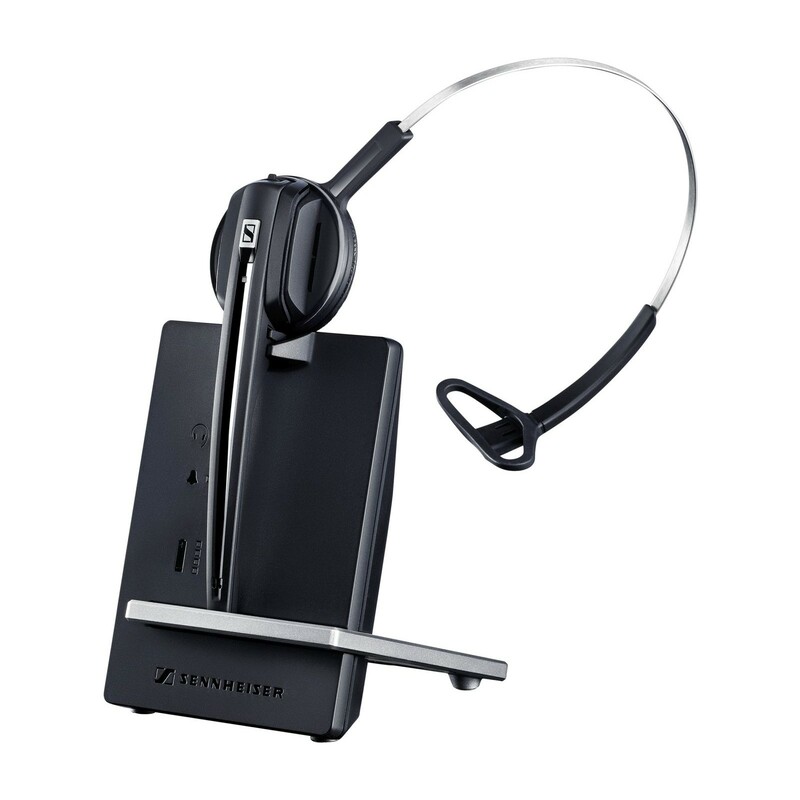 The Sennheiser D10 is a stylish and dependable cordless monaural headset offering excellent sound quality and an effective noise-cancelling microphone for optimal speech reproduction. 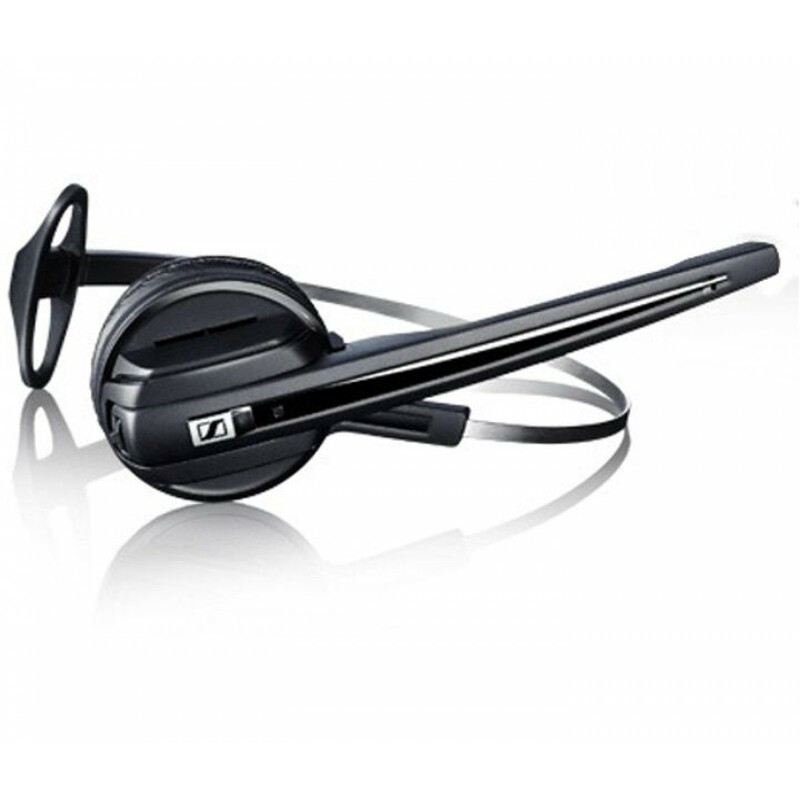 Suitable for conference calling and intensive use throughout the day, this adjustable headset is designed with lasting comfort and ease of use in mind. 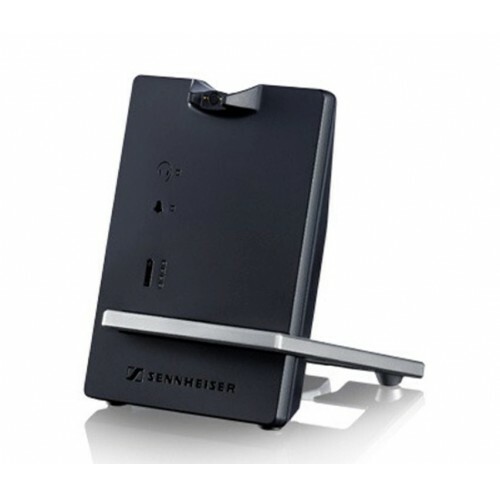 It also includes Sennheiser's ActiveGard technology to protect the user's hearing from sudden spikes in volume. Thanks to cordless DECT technology, the Sennheiser D10 provides interference-free phone calls and excellent speech clarity that call centre staff need to perform their professional duties. The noise- cancelling microphone helps to keep unwanted background noise from interrupting calls, while the monaural design allows the wearer to stay alert of their surroundings and confer with colleagues while on calls. Taking advantage of the greater bandwidth afforded by VoIP telephony systems, the Sennheiser D10 offers excellent wideband audio clarity for more natural-sounding conversations. The battery also delivers enough power for a full working day of talk time, while fast charging provides 4 to 5 additional hours of use after just 20 minutes. At the same time, it provides a long wireless range of up to 55 metres in a typical office environment. 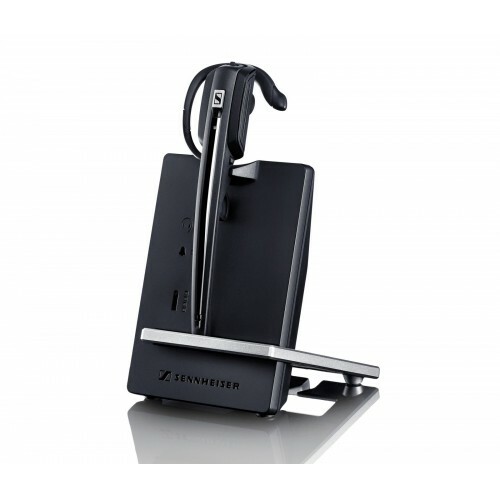 With its top-quality build, fast recharging time and long wireless range, the Sennheiser D10 is an excellent choice for any demanding contact centre environment. 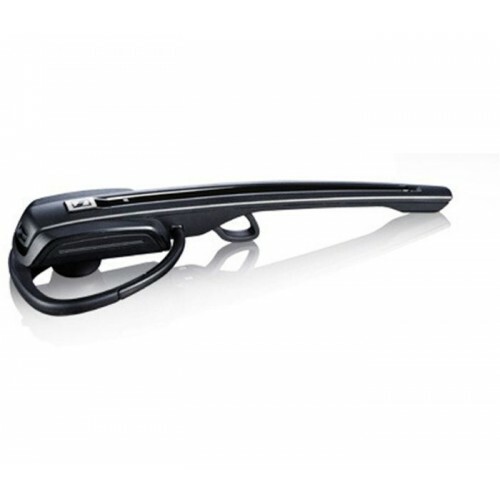 Designed to help safeguard the user's hearing and offer excellent comfort, it is suitable for all-day wearing. This was bought for me by my work to use at home. I was expecting something cheap and not very good so was elated when I got this. The sound quality is outstanding. It is the most comfortable headset to wear. And most importantly of all the range reaches all the way to my kitchen so I can make a cuppa whilst I'm still on a call! Excellent!